Radio Carol at the Kiggins on the 21st. Live Christmas Carol @ 7pm! 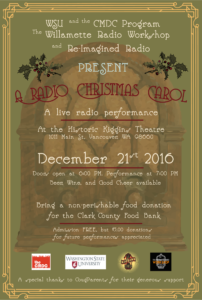 Washington State University will be presenting the Willamette Radio Workshop’s performance, A Radio Christmas Carol as part of the Re-imagined Radio series at the Kiggins Theater (1011 Main St, Vancouver, WA 98660). Doors open at 6pm. Admission = FREE with food donation for Clark County Food Bank. And a $5.00 donation per person to support future performances suggested. 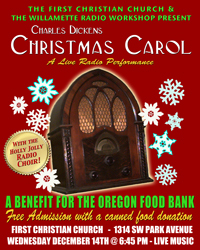 The Willamette Radio Workshop presents a “live radio style” performance of Charles Dickens’ Christmas Carol, adapted by Cynthia McGean from the source and the Campbell Playhouse versions. The classic Christmas story of Scrooge and Tiny Tim finds it’s natural home in the radio medium, the theater of the mind. A ghost story told to remind mankind of the perils of greed and isolation at a time of the year when our community needs more help than ever. This years cast includes Curtis Hanson as Scrooge, Cynthia McGean, Renee Boutin King, Patricia Blem, Chris Porter, Todd Tolces, Tim McKennie and Sam A. Mowry. 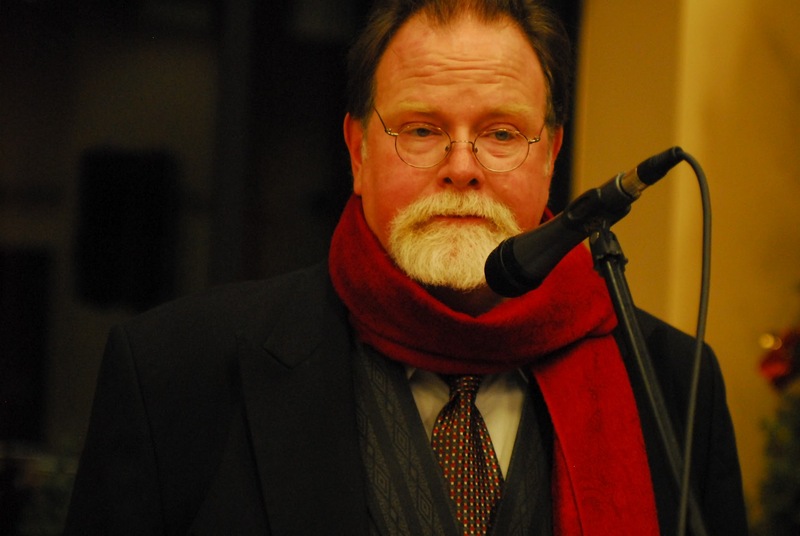 Music provided by The Holly Jolly Radio Singers under the direction of Bennett Bailey. Plus in the tradition of the Golden Age of Radio, live Foley by David Ian and Dino de AElfweald. Plus Magic Lantern projections by Joe Medina. Live sound by Martin John Gallagher. Stage Manager Max Moss. The show is an hour in length and suitable for all ages. The award winning Willamette Radio Workshop wants to help preserve the history of Radio Theatre and to this end our work includes re-creations or re-imaginings of Classic Radio programs like The Campbell Playhouses Christmas Carol with Orson Welles and Lionel Barrymore. We also just love to put on a great show and that’s what we’ve done here. 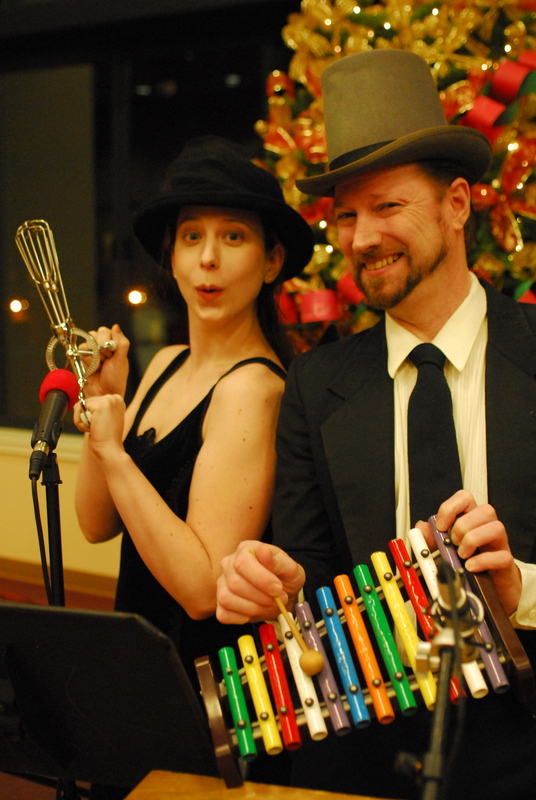 ← WRW supplies some Holiday cheer to the Civic Theater Guild.